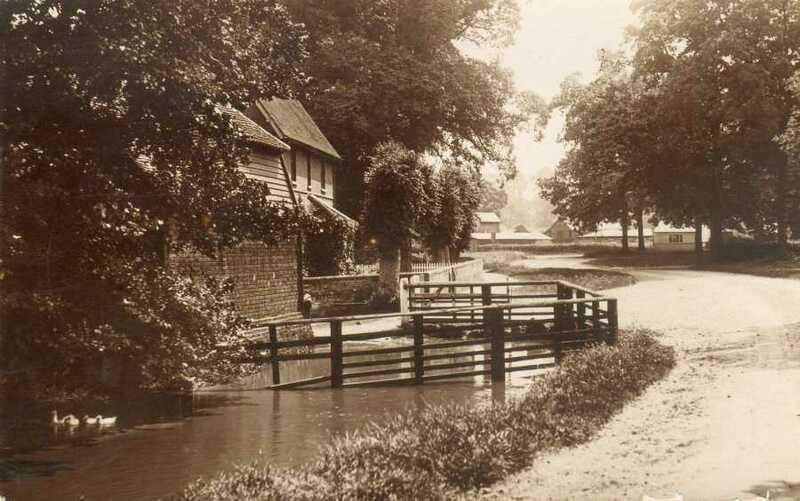 Martin Shearn was Parish Clerk from 1964 to 1982, and has built up a good collection of old postcards, plus a set of photographs of the village from his time as Clerk. 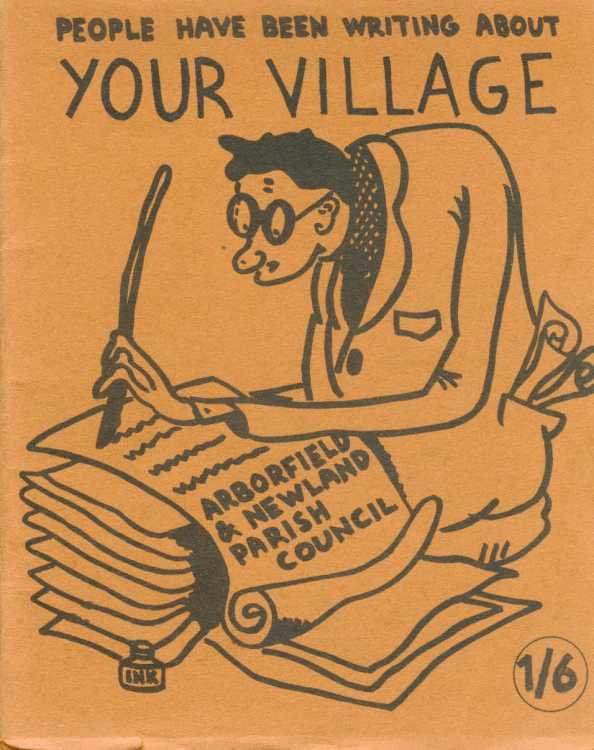 In the 1960’s the Parish Council published a bi-monthly newsletter, but something more comprehensive was needed, with more information from village organisations. 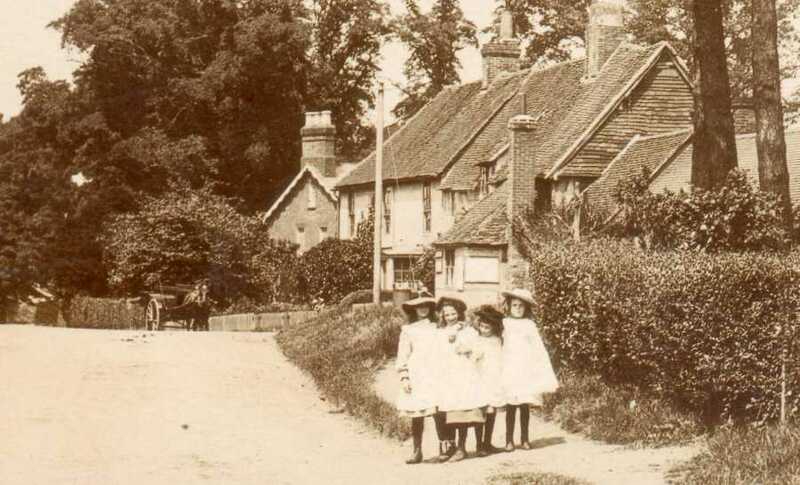 Mary Mitford claimed the name ‘Our Village’ for Three Mile Cross, so was the title ‘Your Village’ a reference to the previous century? 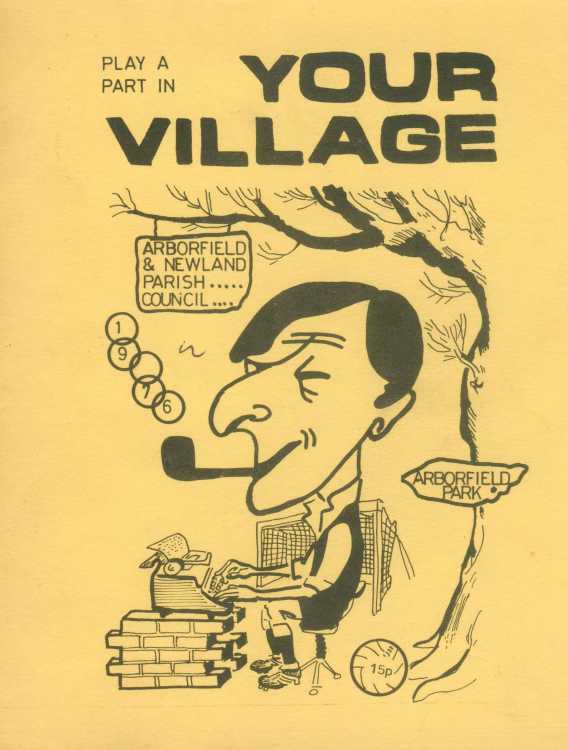 The first ‘Your Village’ was distributed in 1967; the cover was drawn by Andrew Hester, who was on the council. He also designed all of the following covers. 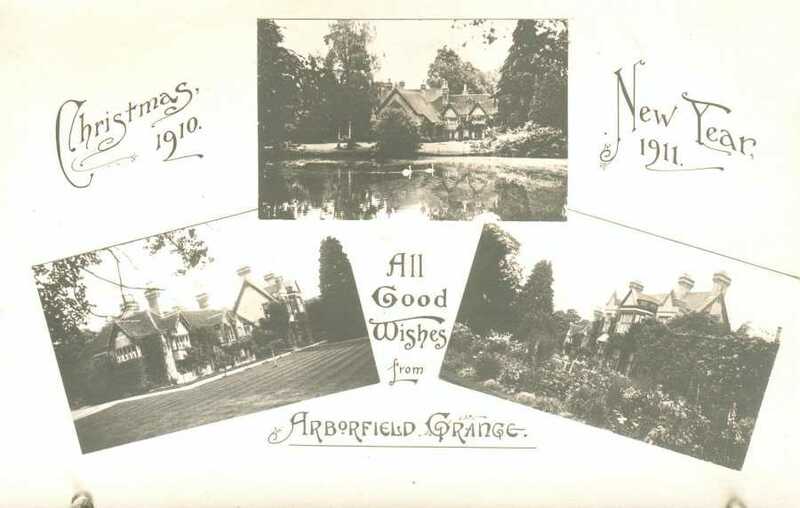 The booklet was distributed to each house in the Arborfield & Newland parish, which meant carefully selecting houses in the Garrison area where the parish boundary with Barkham is not obvious. Later books were issued when a new council was elected, in 1970, 1973, and 1976. 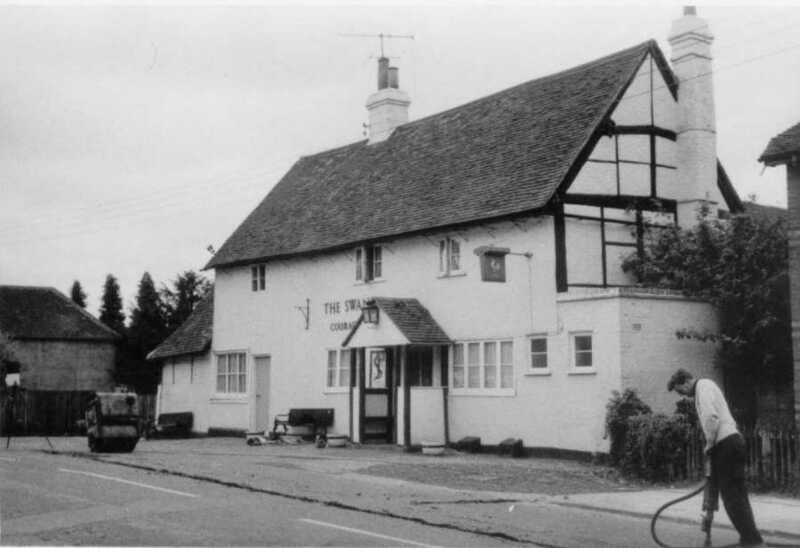 The last one in 1983 was out of line, and wasn’t completed until a year after Martin had resigned as Parish Clerk. 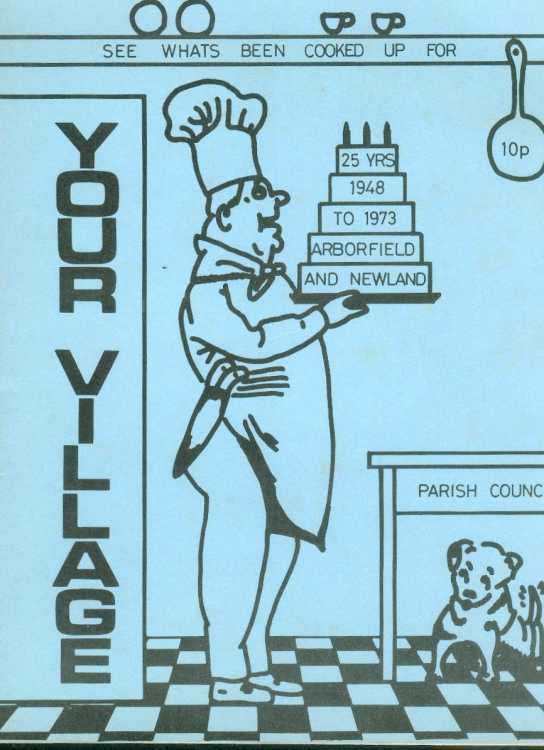 The cover of the third book was entitled "See what's been cooked up for - Your Village". The drawing showed the 25th anniversary of the union of Arborfield PC and Newland PC. 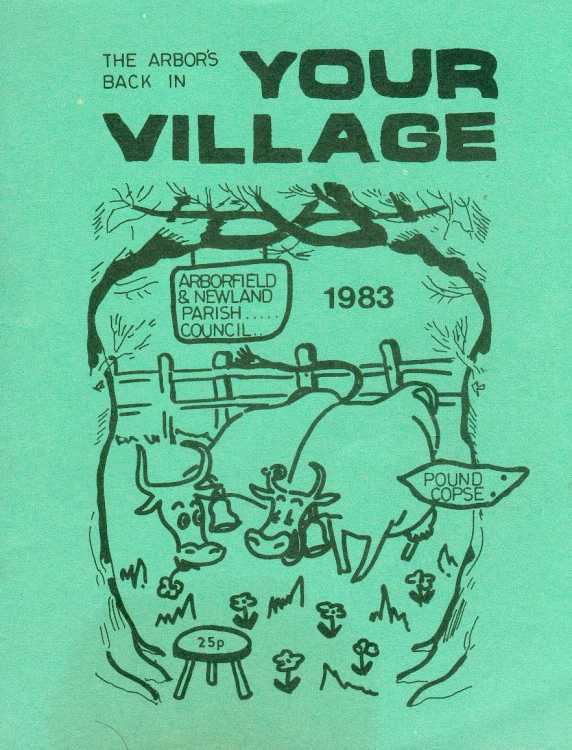 "Play a part in - Your Village" in 1976 referred to the new Arborfield Park; while the final one "The Arbor's ba ck in - Your Village" commemorated the acquisition of Pound Copse. The booklets all carried a small charge on the cover to stop people just asking for too many copies. Quite a few were sold as parishioners wanted to send them to friends. Assembly of the numerous pages was done by councillors walking around the Shearn’s kitchen with each page laid out along the worktop. Martin followed, armed with a long arm stapler borrowed from work. 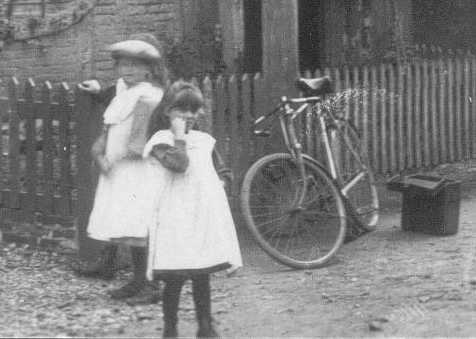 Several of Martin's pictures were featured in the History Exhibition in 1994 and made it to the Web-site some time ago, but those that didn't make it first time round (and which are not duplicated elsewhere on this site) are shown on this Web page. 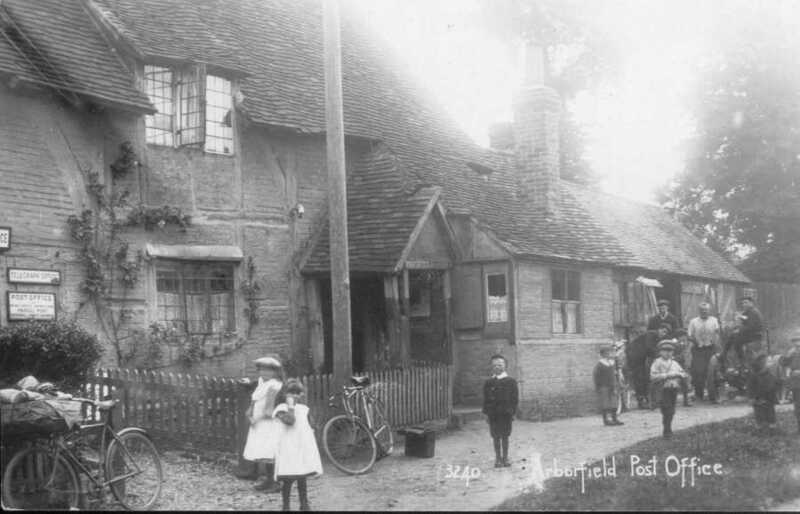 Some of the old postcards came from Mr. Ridler, an amateur local historian, who passed them on to Martin. The collection includes a few published by 'Whitten' of Spencer's Wood, and others by Collier, some of which aren't in the Collier Collection at the Museum of English Rural Life. Click on each one for a larger image. 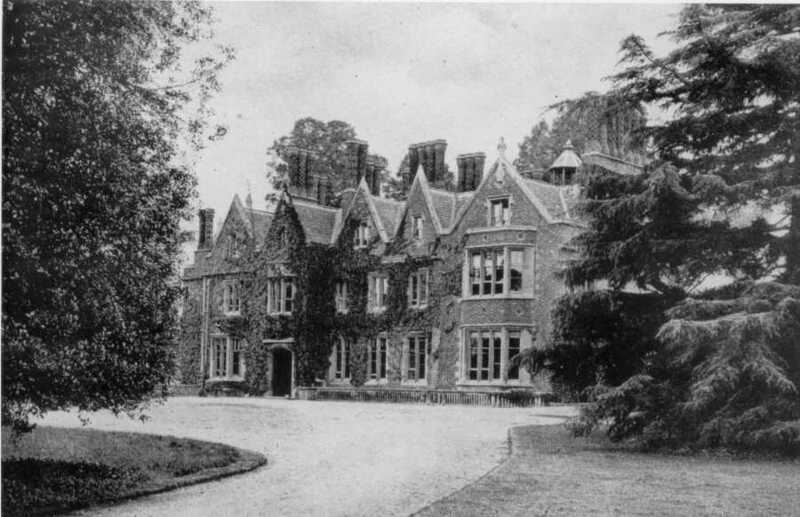 Yours affectionately, S Hargreaves, 11 Dec."
Two pictures of the Hall were from Whitten from about 1910; on the back of the right-hand picture, Mr. Ridley commented: "On extreme right, Jacobean laundry & stables demolished in 1927. Extreme left demolished by Mr Allsebrook. 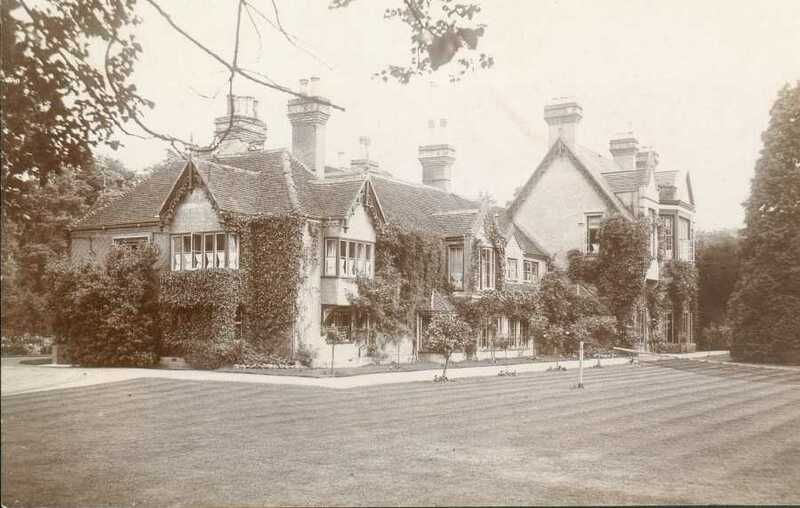 Third window from left was where children received gifts from Mrs Hargreaves at Annual School Treat." 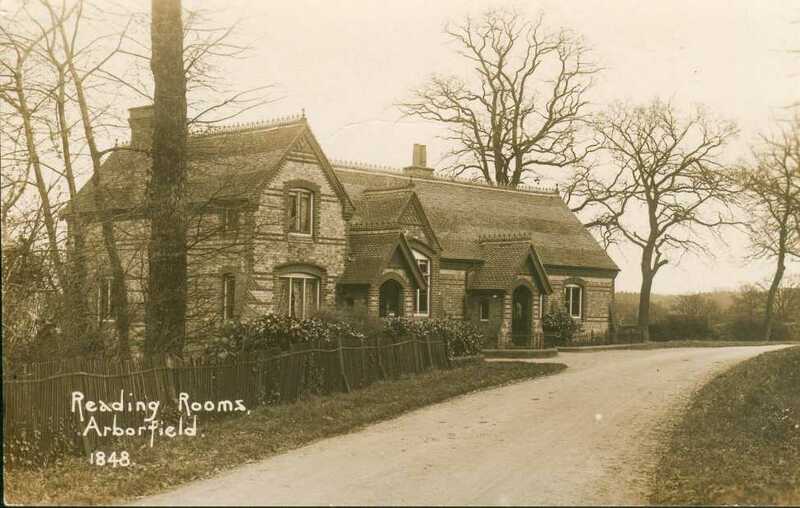 Along Church Lane is the old Reading Rooms, now known as Reading Room Cottage. 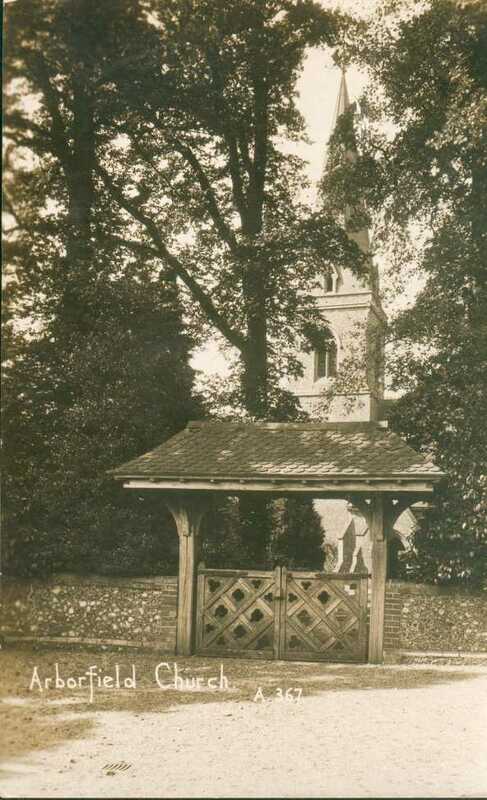 It was originally erected as a memorial by the Hargreaves family. 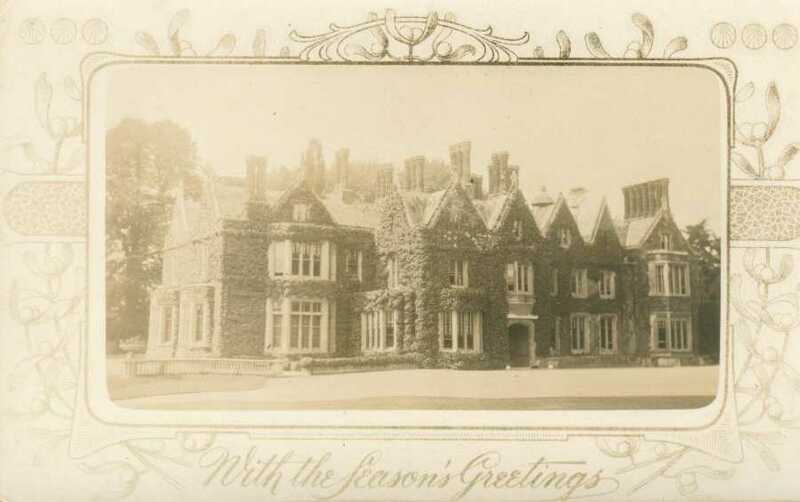 This postcard is thought to be by Collier, though the back of the card doesn't record the photographer. 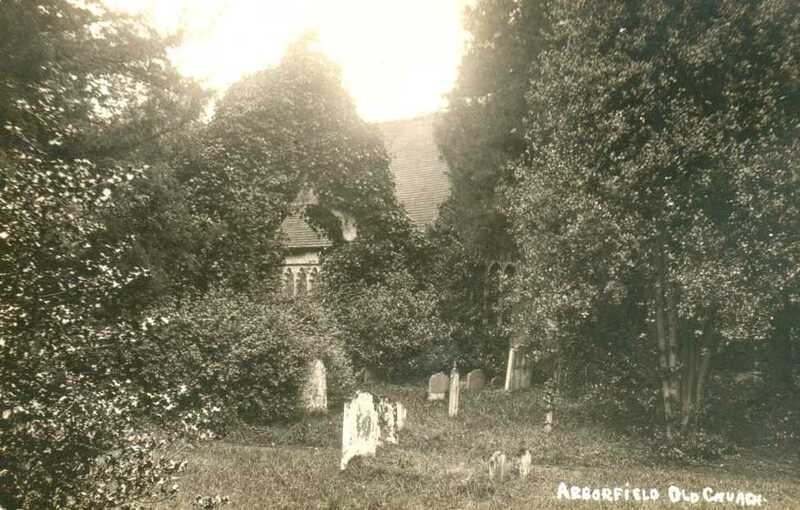 It does have the hand-written name 'Hainworth', as do several photos of the ruins of the old church and the present church building seen below. 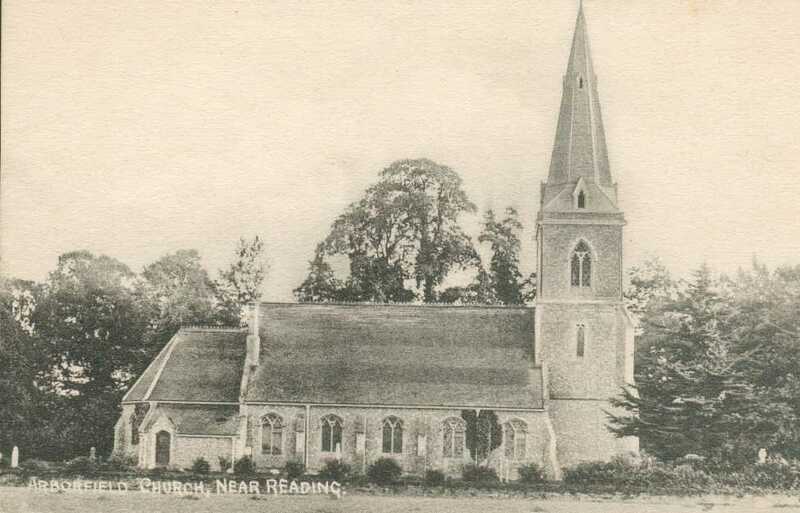 These two postcards show the Conroy Chapel of the old church from 1912, and the old church porch, dated 1910. 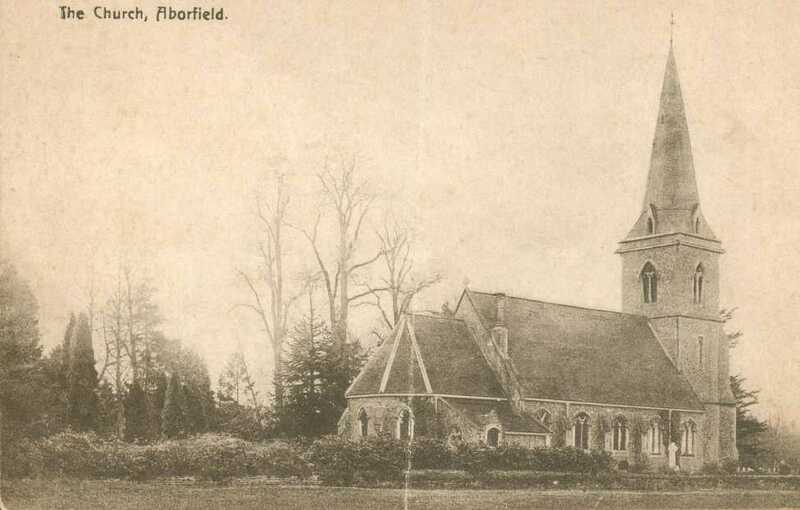 The photographer Whitten published two photos of the current church building, as viewed from a field on Arborfield Hall Farm, then owned by the Hargreaves family. 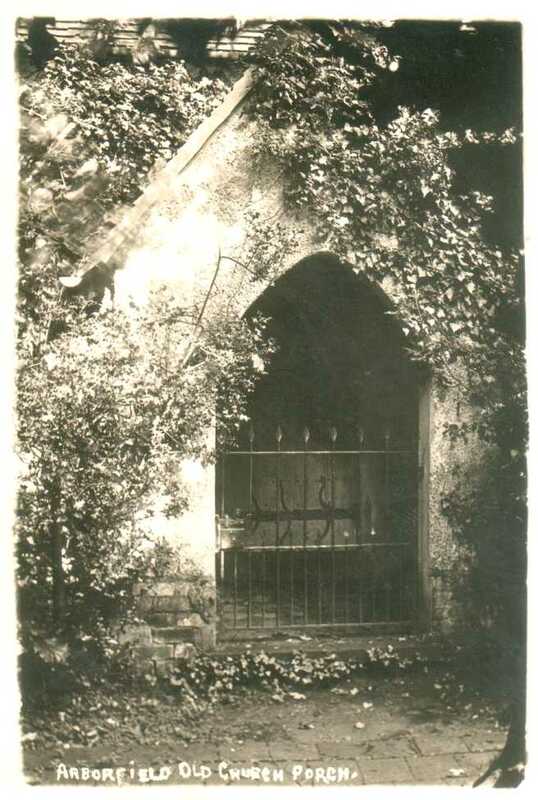 There is a postcard of the Lychgate, and another showing the inside of the church; both are by Collier. 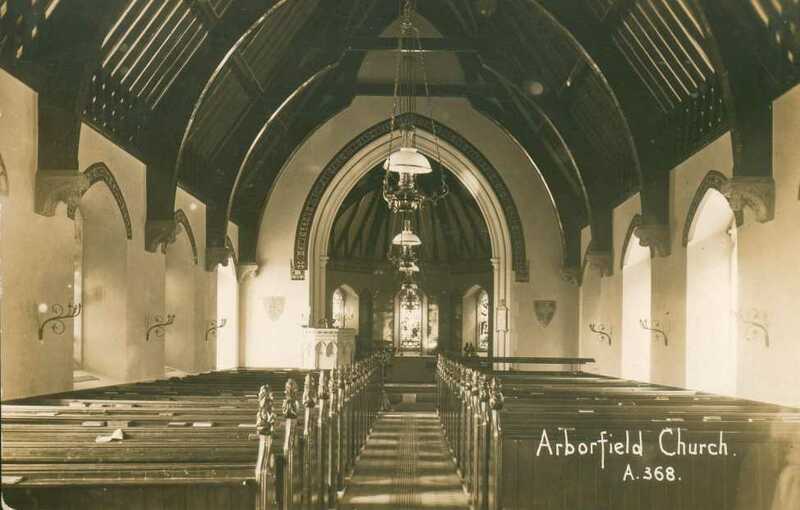 The interior used to have banners over e ach side window. Click here to see the windows on the left in more detail. 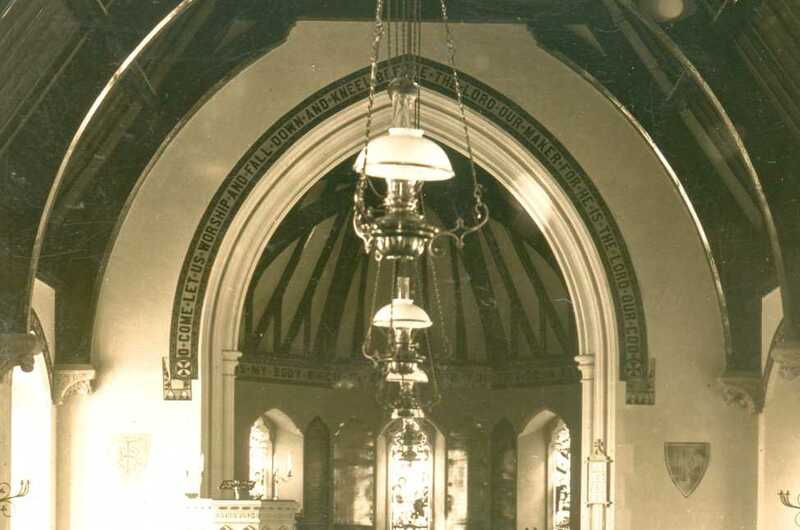 Click here to read the banner over the Chancel Arch. 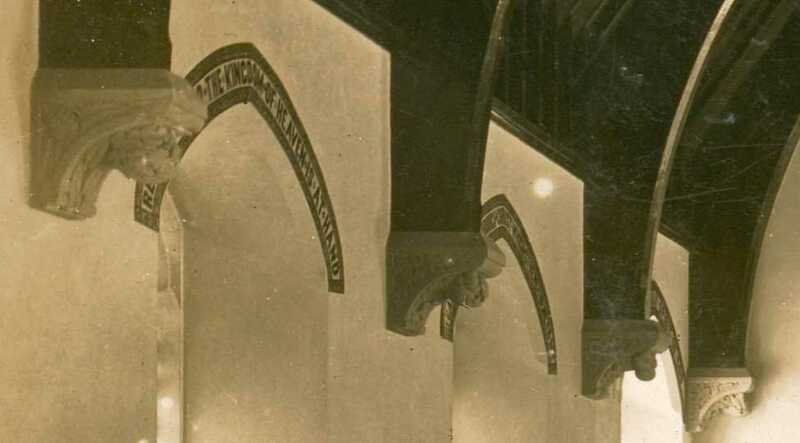 Note the two shields on either side of the arch; these were replaced by plaques listing the Ten Commandments, which were originally in the Chancel itself. 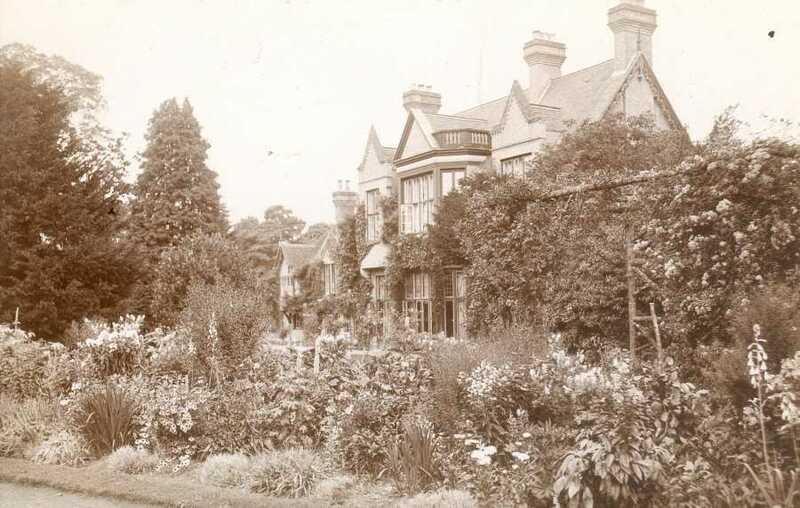 Elsewhere, we have a photo of the interior from the 1940's - click here to compare it. Birch House, which is opposite the 'Swan', also hasn't changed much, apart from losing its cladding of ivy. Children can no longer play in the road, which is very narrow at this point. 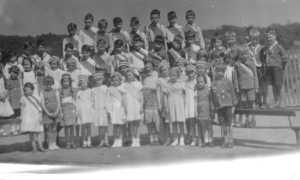 Click here to see the children in close-up. 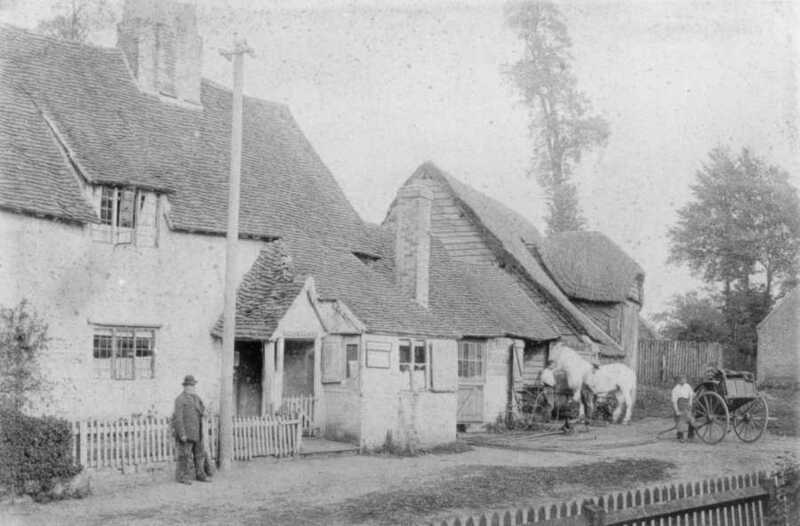 Next door to Birch House was the Blacksmith's Forge, which adjoined the old Post Office, as shown below. The photo on the left is of an oil painting that was owned by Bill Middleton of Emblen Cresent. 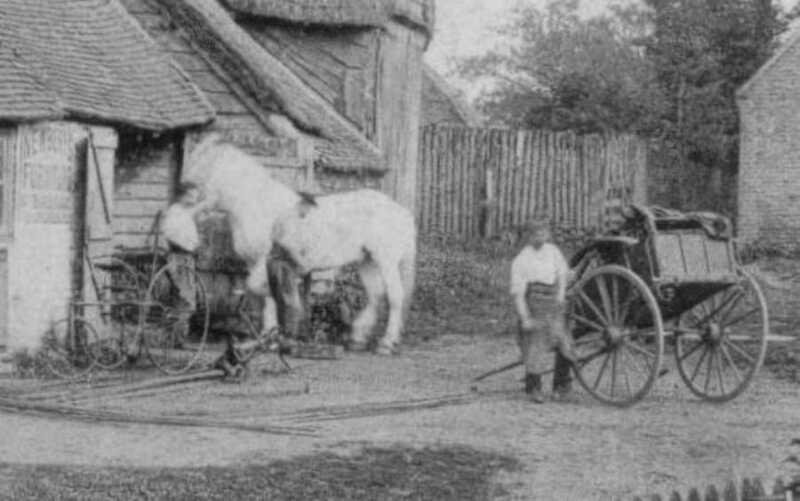 In the background it shows a thatched barn, long since demolished. Both pictures are full of human interest. 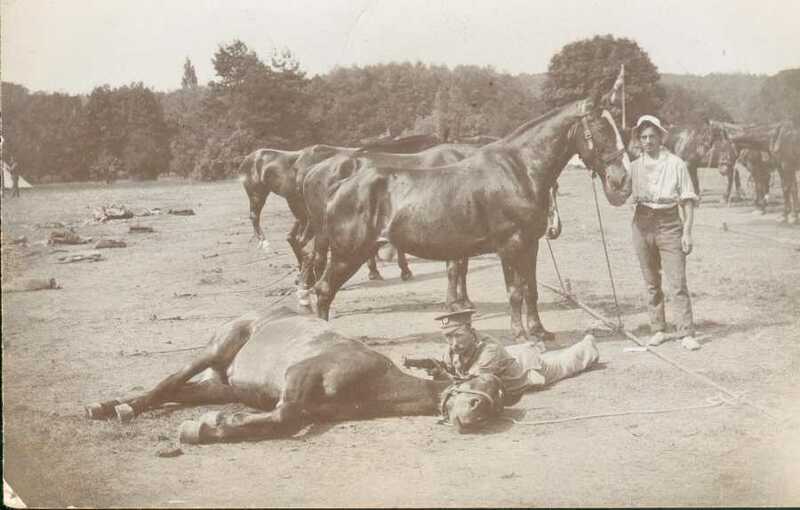 Click here to see the horse on the left-hand picture, and click here to see the girls in the right-hand picture. Finally, see the action at the Forge in the right-hand picture by clicking here. 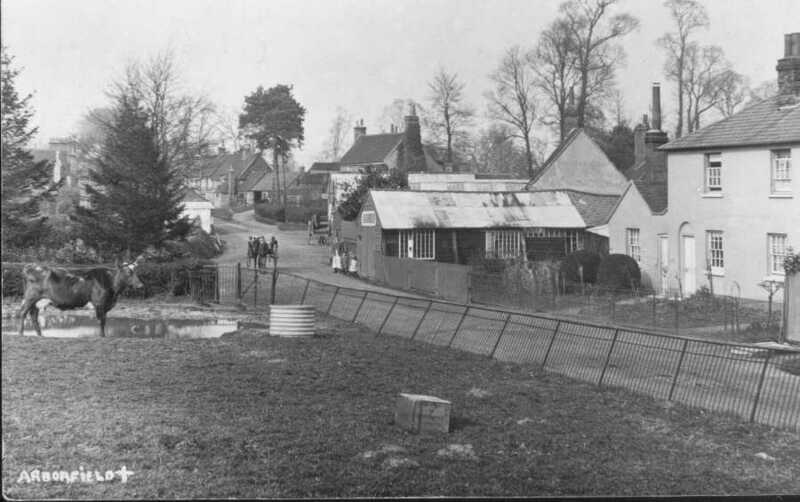 On the other side of Birch House was the Bentley family's old Wheelwright's workshop, seen here from near where Melrose Gardens now stands. 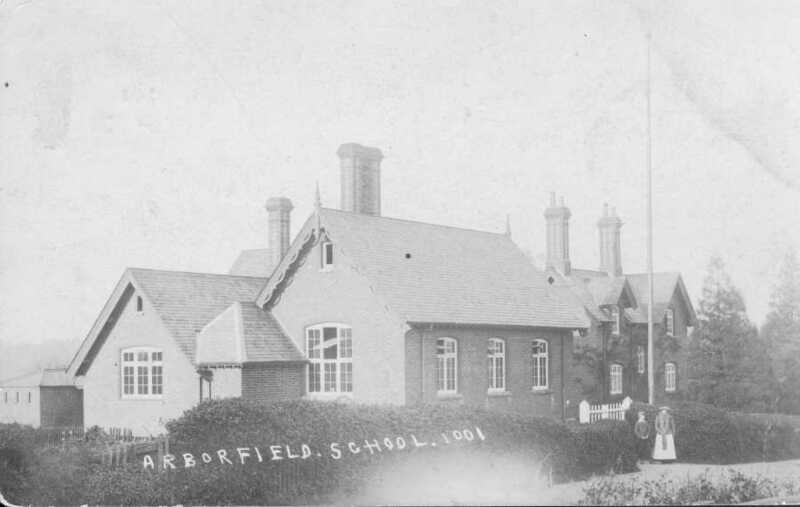 The workshops later became Arborfield Garage. Compare this with a similar view from the Collier Collection by clicking here. 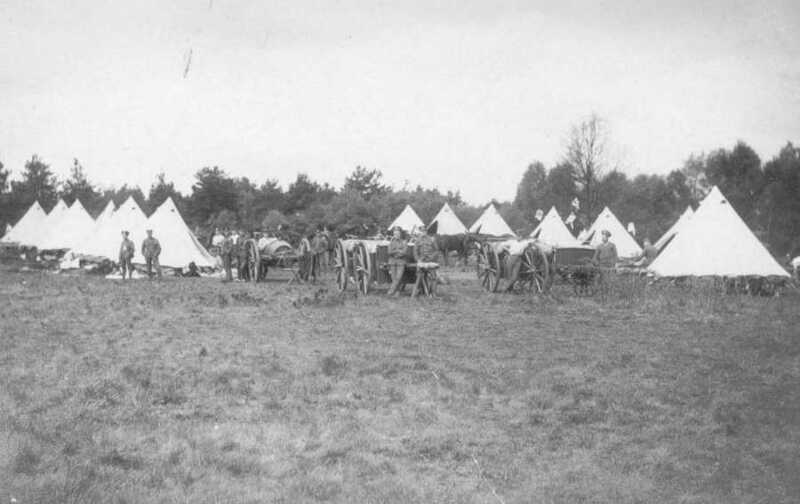 Workshops around 1912. 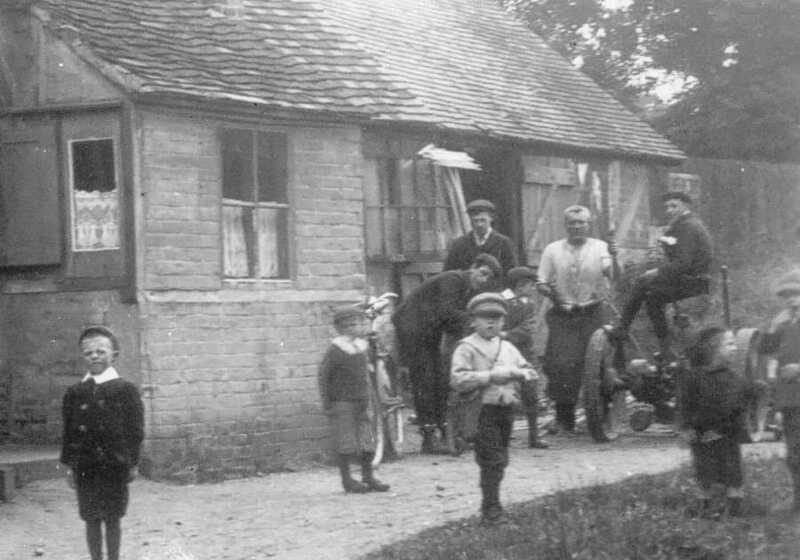 Stables, Mr Tilbury, Baker’s cart, Mr Seymour, Marion Seymour, Hylton Seymour. 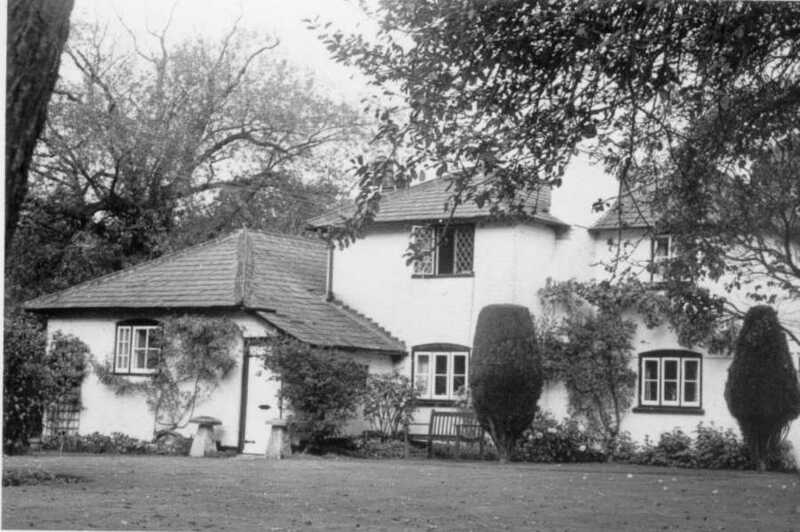 On the right of the photo was the White Well itself, while off the photo to the right was Peacock Cottage. 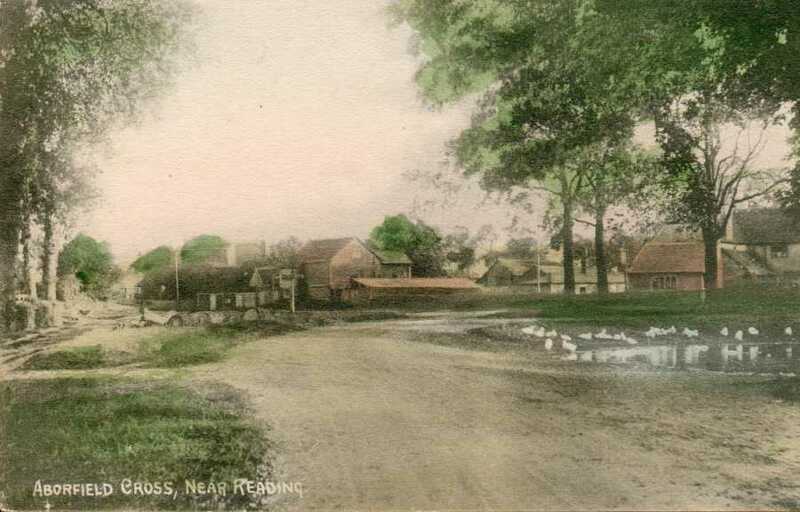 The next postcard on the left, taken from the Sindlesham Road, is duplicated elsewhere on the web-site, but this version has been tinted so that it looks as if it is in colour. 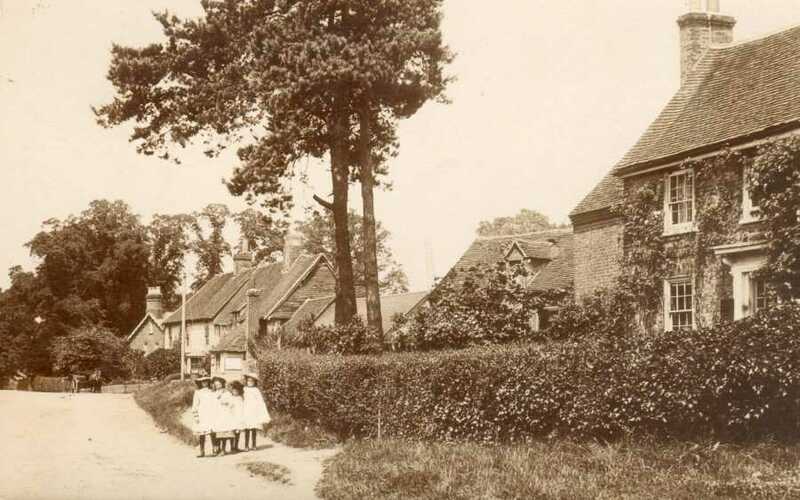 Note the Parish Cottages in Swallowfield Road in the background. 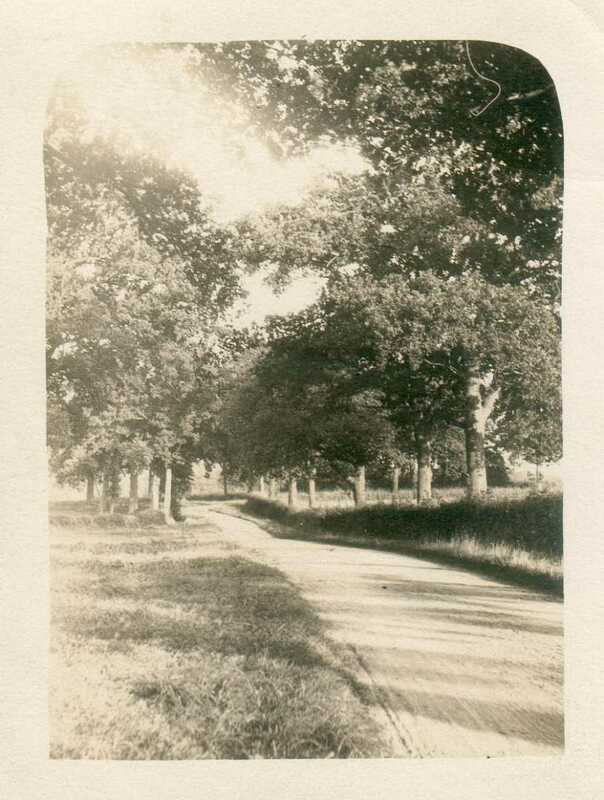 The card on the right was taken further back in the Sindlesham Road, with Newland Farm in the left foreground. 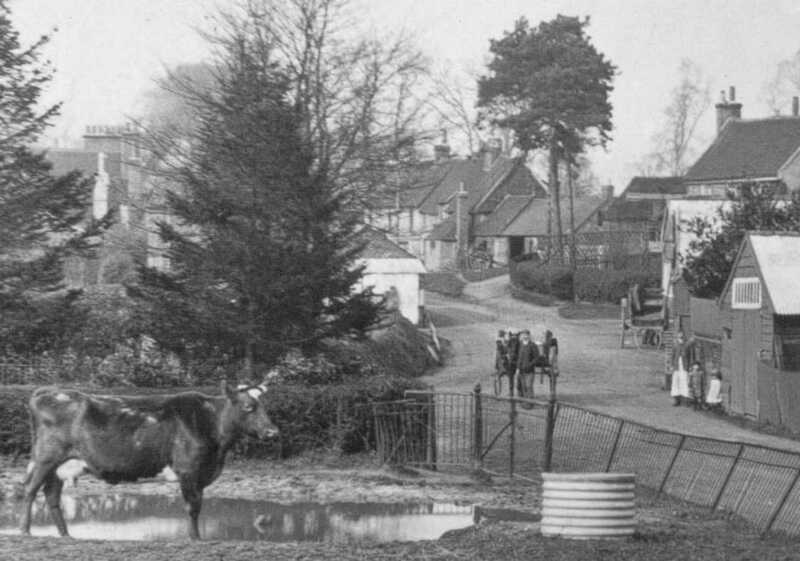 It also shows the Parish Cottages in the background, which you can see in more close-up by clicking here, and with George Garrett's Builder's Yard to their left. 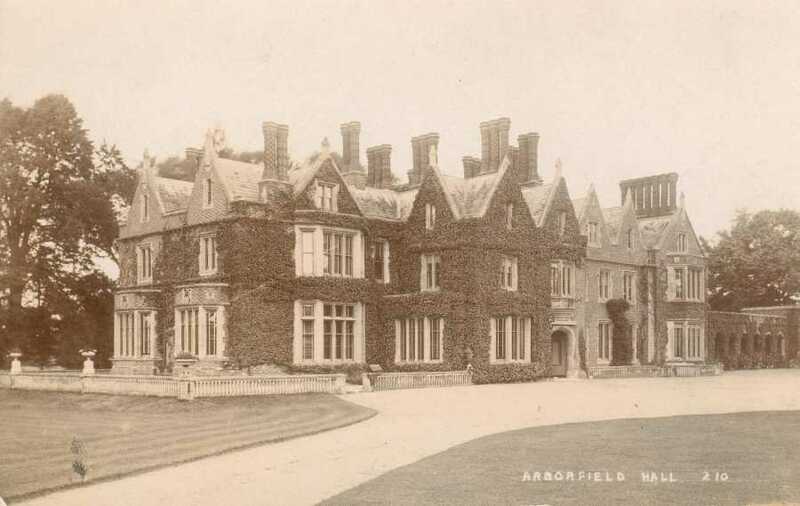 On the left below is another old postcard of the School before the main building was extended in 1910. Click here to see the people in the postcard in greater detail. 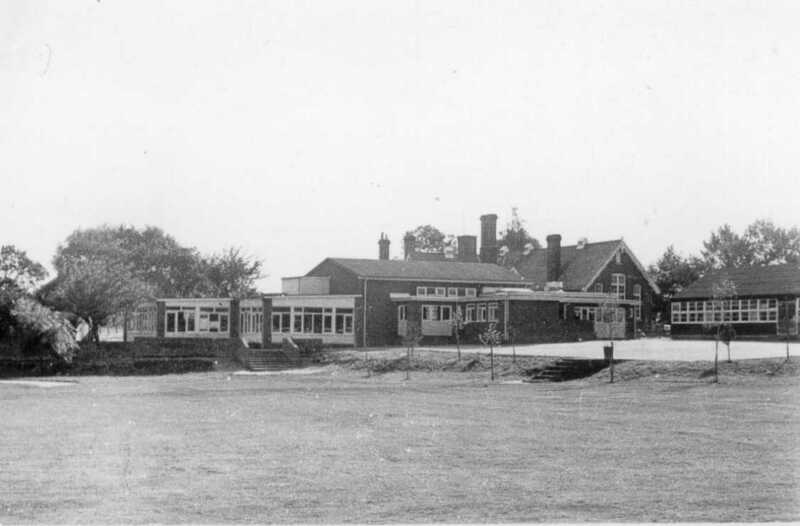 To the right is a more modern view, from the 1960's. 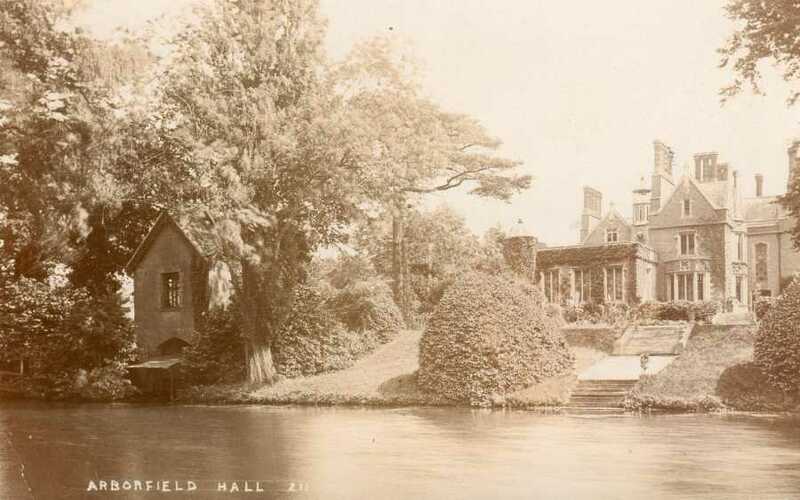 By this time, the Hall had been built, as seen in the left of the photo. In the playground, alongside School Road, is a 'terrapin' temporary classroom, which you can see more clearly by clicking here. 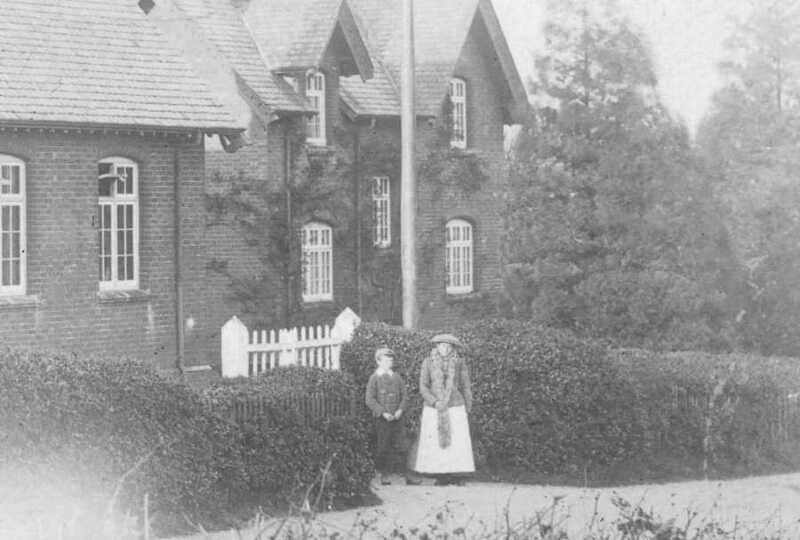 It was to be a few more years before the Coombes Infant School was built to the right of the 'terrapins'. 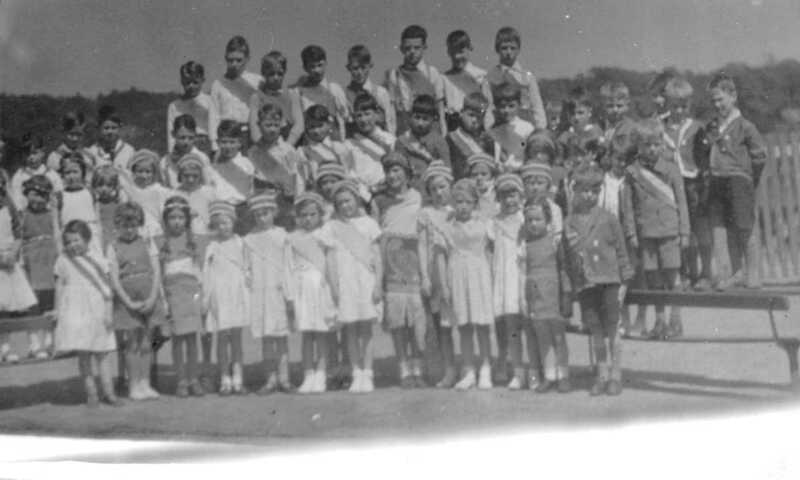 Here's a picture of children from the school - when was it taken? Do you recognise anyone in the photograph? 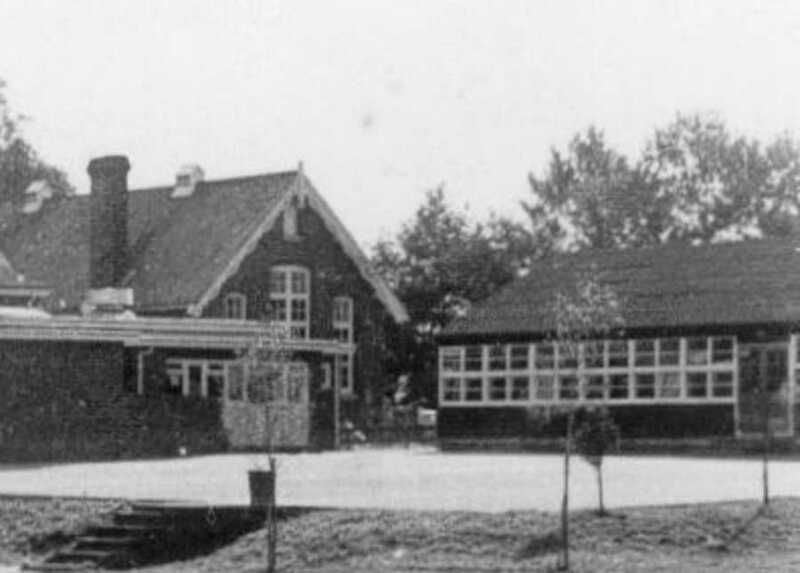 Martin took two photos of the Old School in Greensward Lane. This is now split into two dwellings. 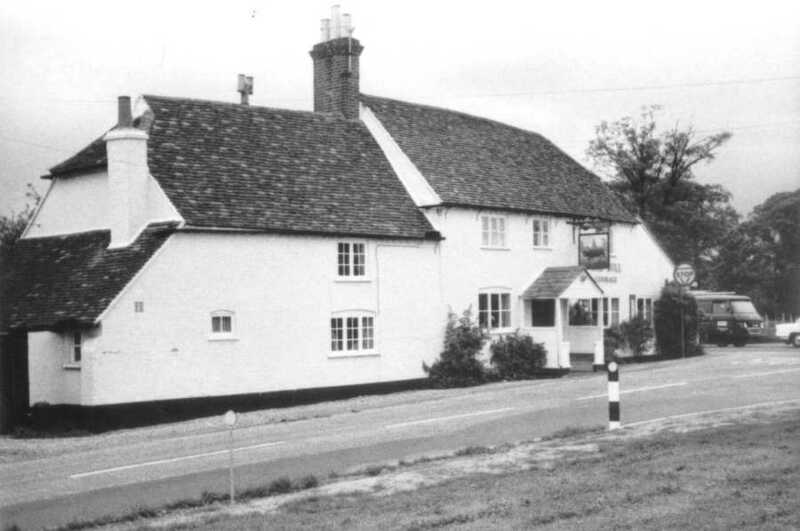 The 'Bull' and the 'Swan' were also photographed for posterity in the early 1970's. 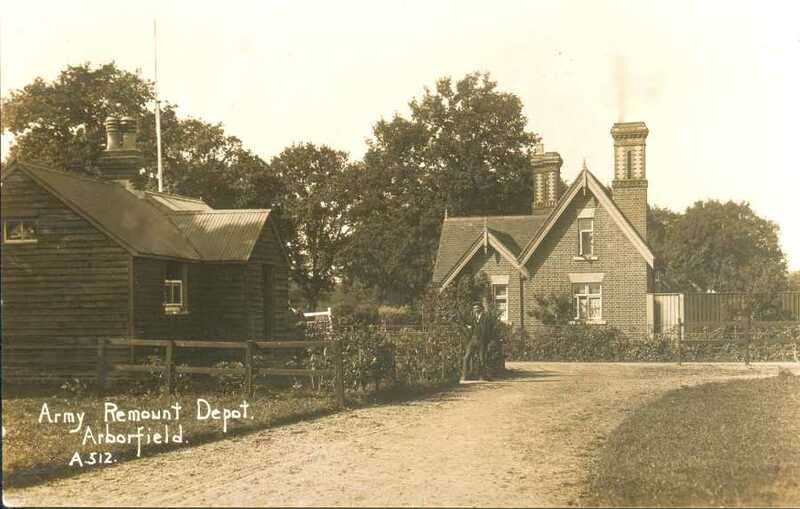 There are some very early pictures of the Remount Depot, dating from before the First World War. 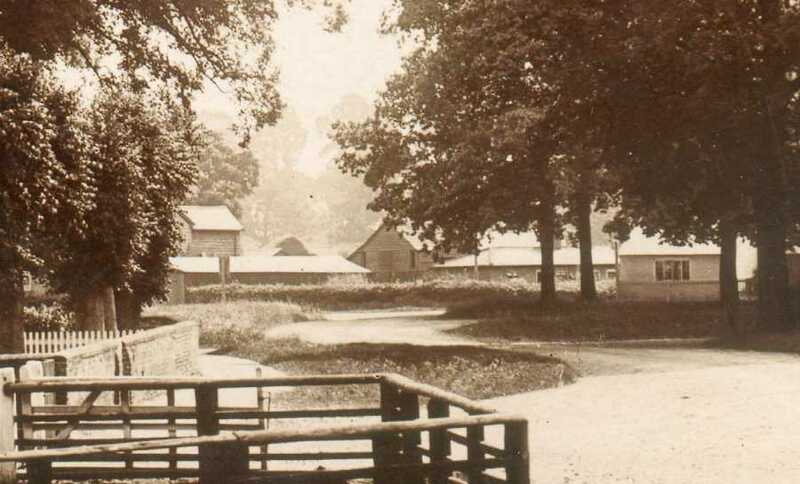 During Martin's time as Parish Clerk, the Park on Swallowfield Road was opened. 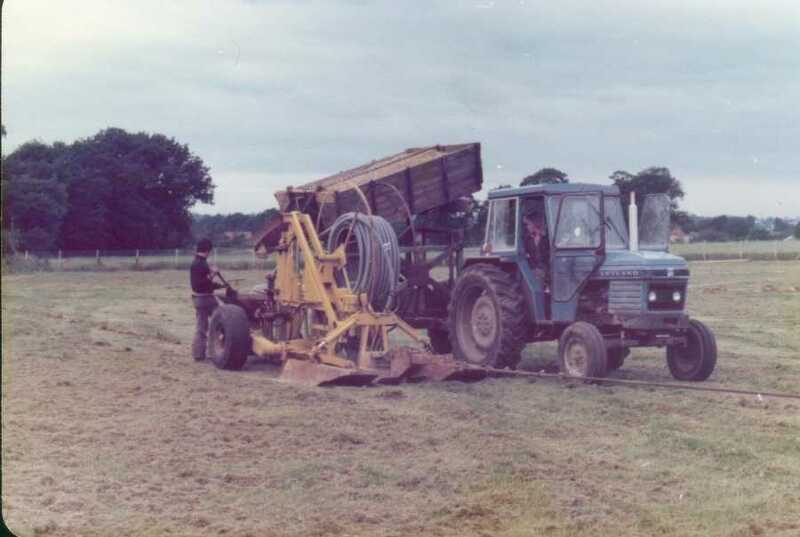 This photo from July 1973 shows the newly-completed field being equipped with drainage - vital in an area of clay soil. 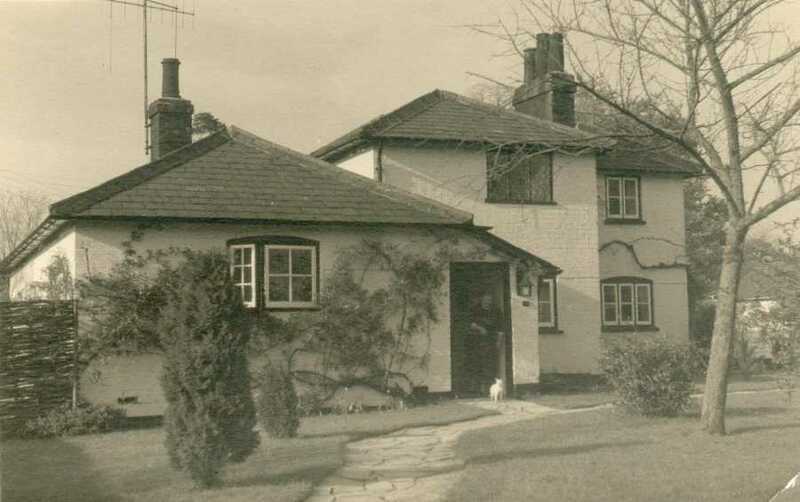 For Martin's pictures of residential streets and dwellings in the 1960's and 1970's, click here.